I have passed up this beer numerous times in the liquor store, so when I saw it while filling up a mixed six pack I decided it deserved a try. 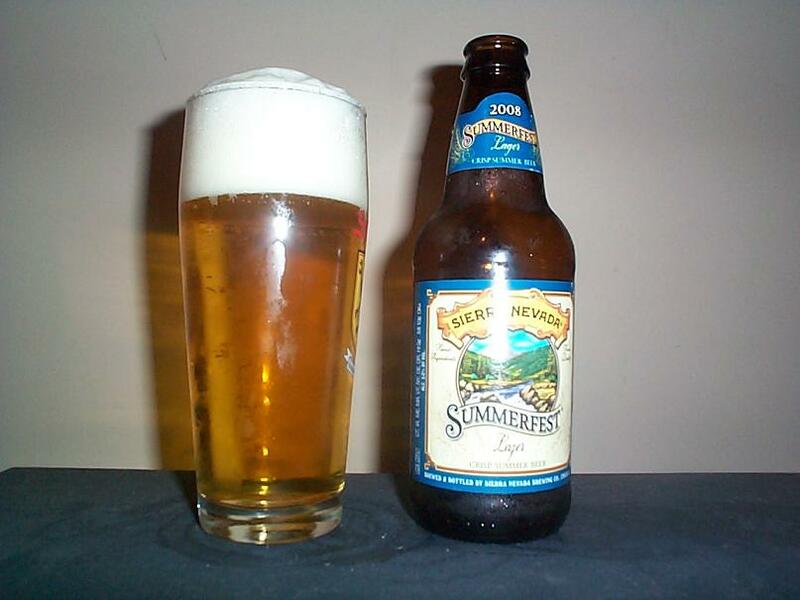 Summerfest from Sierra Nevada is a pilsner style lager clocking in at 5% ABV, not my favorite style of beer but lets see how it goes. Pours a very transparent yellow color typical of a pilsner, head is incredibly plentiful and creates a lovely eruption of bubbles as it cascades. Smells of light pilsner malts somewhat sweet, slight hop aroma present. Mouthfeel is light. Tastes of corn and slightly sour malt complimented by hop bitterness but a slightly sweet aftertaste. More complex flavor than most pilsners that I’ve had and likely a refreshing drink on a hot summer day. A decent beer but not quite my thing, if your looking for a lager with some flavor this might not be a bad choice. Give it a shot and ride your bike. This entry was posted on Saturday, July 26th, 2008 at 4:23 pm	and is filed under Beer. You can follow any responses to this entry through the RSS 2.0 feed. You can leave a response, or trackback from your own site. I’ve gotten this twice over the past two weeks. I like it, to me it is a perfect grilling brew for the summer, I like to cook my meat slow and enjoy the moment and this crisp lager fits perfectly with it. Glad to hear you enjoy it, it makes it that much more rewarding when I can bring smiles to the faces of others, particularly on such a delicious topic. Good luck on your adventures, I am certainly no laureate so I’m sure your musings will be just fine. Good luck and cheers!